The members of the Storting, the Norwegian Parliament, voted today over a constitutional bill (Dokument 12:10 (2011-2012)) to change the form of government from monarchy to republic. The bill, which traditionally is put forward by the Socialistic Left Party* every fourth year or so, got 28 votes, which later were corrected to 26, as two MPs had voted in error. This was the 12th (or was it the 13th?) time the Storting has voted over the question about the form of government. There was of course never any danger of a constittional majority for such a bill, but is is nevertheless a way for the republican minority to demonstrate their principles and to initiate a debate. Or to put it another way, the 137 MPs who voted against the bill demonstrated how strong the people's support of the monarchical form of government still is. Of course, if Norway had decided to start from scratch, a republic certainly would have been established. But that is exactly the point. A majority of the people don't want to throw away a thousand years of tradition and history. The majority of MPs mirrors the wish of the people. If the bill had got a constitutional majority (2/3), the republic would not have been adopted right away, as the proposal said that the bill would come into force on 1 January the year after the people had voted in favour of the bill in a referendum The referendum should take place no later than 31 September 2017. Of the 26 MPs who voted in favour of the republican bill, 16 MPs represented the Labour Party, 6 the Socialist Left Party and 3 the Liberals. The remaining vote was made by a member of the Conservative Party. 137 MPs voted against the bill, while 6 MPs were not present in the Storting today. In 2010 17 MPs voted in favour of the bill (Dokument nr. 12:3 (2007-2008)), while 125 were against. In March 2013 the Storting debated a proposal to start a process leading to the introduction of a republic, but the proposal only got 11 votes (against 83). An alternative proposal got 17 votes (against 75). *Traditionally the republican bill has been put forward by members of the Socialist Left Party only, but this time also four members of the Labour Party were behind it. Updated on Thursday 31 March 2016 at 22.05 (number of Labour MPs behind the proposal corrected). I received issue CVII (Volume 18.5) of Eurohistory. The European Royal History Journal in early March 2016 and will give a few comments on its contents tonight. Together with the magazine followed a little leaflet where the subscribers are informed that for financial reasons the magazine will from the next volume on become a quarterly instead of a bimonthly publication. While I am not exactly amused by this news, I can well understand the reasons behind it. The editor and publisher promises more pages and articles, so the readers will surely still have a product worth subscribing to. Back to the latest issue! A photo of Prince Andreas of Saxe-Coburg and Gotha is on the front page, and it surely is the prettiest and coolest ERHJ front cover ever! The cover photo is identical to the one used for Prince Andras' autobiography, I did it my way. 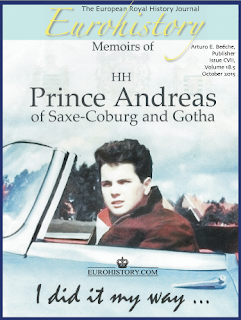 Memoirs of HH Prince Andreas of Saxe-Coburg and Gotha (Eurohistory, 2015, ISBN 978-1-944207-00-7), which was launched at the Royal Gatherings (conference) in the Hague, the Netherlands in early November 2015. I attended the conference and of course secured myself a signed copy. Arturo Beéche's article about Prince Andreas in the present issue is clearly based on the speech the publisher held when the book was launched. It provides a good summary of the life of Prince Andreas, and even with some loose ends, is well worth reading. The whole story can of course be found in the autobiography. Next one out is Ilana D. Miller's article Who Is In the Photograph. Queen Victoria's Granddaughters, and she tells the story of Princess Irene of Prussia, Princess Helena Victoria of Schleswig-Holstein, Hereditary Princess Charlotte of Saxe-Meiningen, Princess Marie Louise of Schleswig-Holstein and Princess Alix of Hesse and by Rhine. Miller says that it is one of the most photographs she has ever written about «because so much of the sitter's personalities is shown on their faces». This must not be taken as any sort of criticism, just a question mark, as I feel the author is reading too much into the photograph. The women are to me just plain-looking. I liked the article, though! Don Carlos, Duke of Calabria, one of the two claimants to the throne of the Two Sicilies, died on 5 October 2015, and his obituary is published with the title Don Carlos, Duke of Calabria. The Death of the last Infante of Spain and is written by Ricardo Mateos Saínz de Medrano. Greg King and Janet Ashton then follows up with the third and last part of their article Perfect Liar. The Extraordinary Life of Princess Catherine Radziwill. In the first part we are told the story of Princess Catherine Radziwill's life, while the second and third parts give an analysis of her writings. What is historically accurate, what is gossip and/or fiction? The conclusion must be, King and Ashton write, that «In the end, declaring Catherine an unreliable gossip and dismissing her work is as historically irresponsible as wholeheartedly embracing her literary output as fact. As with most things in life, the truth rests in the middle». The authors have provided an excellent analysis and the three-part article is all in all one of the best and most interesting ERHJU articles I have ever read. Sadly issue CVII also includes a second obituary, as Alexandra, Duchess of Croÿ, née Miloradovich, died on 24 September 2015. The obituary, titled A Dear Friend Departs. Alexandra, Duchess of Croÿ (1960–2015), is written by the editor and publisher, Arturo E. Beéche. The celebrations of the wedding of Lady Alice Montagu-Doucglas-Scott and the Duke of Gloucester (Prince Henry of the United Kingdom) on 6 November 1935 were pared down because of the death of the bride's father on 19 October. But the union seems to have been a success, and the author of the article The Wedding of Lady Alice Montagu-Douglas-Scott & HRH The Duke of Gloucester, Marlene A. Eilers Koenig, covers the events up to and the wedding itself rather well. Coryne Hall has written several articles based on her book Princesses on the Wards. Royal Women in Nursing through Wars and Revolutions (The History Press, 2014, ISBN 9780752488592). In the present issue she presents several of the royal women she has written about in her book. The book reviews section does for some reason state that Matthias Pettersson was the author of the Swedish year book, while it was in fact written by Karin Schaefer. Finally, Eurohistory brings you the Royal News section, this time with news from the imperial, royal or princely and/or mediatized houses of Austria, Monaco, Oldenburg, Parma, Prussia, Romania, Savoy, Saxe-Coburg and Gotha, Saxe-Meiningen, Sweden, Croÿ, Solms-Baruth and Thurn and Taxis. The publisher of The European Royal History Royal can be reached at erhj [at] eurohistory.com. Eurohistory also has a blog as well as a Facebook page which will keep the readers up to date with news about royalty and the magazine and other publications that Eurohistory can offer. Aspholmen er en liten og fredelig øy som ligger på vestsiden av Mannefjorden utenfor Mandal. Om sommeren er øya et populært utfartssted for både lokalbefolkning og sommerturister som ikke ønsker å ligge tett i tett med andre solbadende på de mange strendene. Aspholmen ligger like utenfor Stumpodden på Risøbank og er dermed ikke mer enn noen få svømmetak fra fastland. Hadde bare temperaturen i vannet vært mer forlokkende! De fleste som drar til Aspholmen drar med båt. Der finnes en liten brygge, en badestrand og svaberg, og dessuten en liten skog som man kan utforske. Alt i alt en idyllisk plett utenfor sørlandsbyen. Jeg fikk selvsagt lyst til å besøke gravstedet etter å ha lest ovennevnte bildetekst. Tanken på å svømme over til øya fristet ikke (og hvordan skulle jeg holde kameraet tørt? ), men heldigvis kom en svoger meg til unnsetning. Han skulle uansett ut for å sjekke krabbetegnene og tok gjerne en stopp på Aspholmen. Den mellomste datteren hans (den gang 3 1/2) var også med. Hun skjønte nok ikke helt poenget med å ta så mange bilder av en gravstein, men var som alltid glad for å komme ut på sjøen. Gravstenen står i ensom majestet på en liten gresslette i trygg avstand til sjøkanten (se bildet øverst). På dens fremside står en tekst på tysk om den avdøde skipskaptein Wallis (se lenger ned for norsk oversettelse), og ved foten av steinen ligger det en helle der navnene på de øvrige gravlagte er hugget inn. I gamle dager ble skip som man trodde hadde pestsyke mennesker ombord lagt i streng karantene og eventuelle døde ble gravlagt utenom de vanlige kirkegårder. Her hviler i Guds navn skipskaptein C. A. Wallis født i Barth i Preussen den 31. mai 1813 død i Nordsjøen ombord på sitt fartøy "Louise" den 19. november 1849. På baksiden av steinen har kapt. Zornow på vegne av avdødes etterlatte sørget for følgende minneskrift: Carl Albrecht Wallis. Vel hviler du fjernt fra dine kjære. Men i deres hjerter er du evig nær. De lagdes som det står i Ibsens Terje Vigen. Den observante leser vil sikket legge merke til at mens det på gravsteinens forside står at Wallis døde 12. november 1849, så står det 19. november på jernplaten. Ifølge kirkeboken er førstnevnte korrekt. Alle bildene er tatt 1. august 2014. @ Dag Trygsland Hoelseth. Jeg fikk tatt bildene jeg ønsket og var godt fornøyd med den lille utflukten. Min svoger kom heller ikke tomhendt fra turen. Det var krabber i tegnene! Lokalhistoriewiki har for øvrig listet opp flere lignende gravplasser på øyer utenfor kysten: Torsvik i Kristiansand, Lamholmen i Søgne, Aspholmen, Eggholmen og Ramsøy i Mandal, Sutnøy i Lyngdal, Eikvåg, Terøy og Skarvøy i Farsund samt Kollsøyna og Prestøya i Flekkefjord. Disse stedene omtales alle som «gravplass […] for ilanddrevne sjøfolk. Det er ikke helt presist, i hvert fall ikke om Aspholmen, der det ble gravlagt sjøfolk som døde om bord, de ble ikke skylt i land. Men det hadde uansett vært spennende å få dokumentert de som er gravlagt på de andre plassene som er nevnt. Fridtjof Nansens grav på Polhøgda. Foto: (2012) Stig Rune Pedersen. Jeg har vært en trofast leser av magasinet Aftenposten Historie siden oppstarten og burde snart sørge for å tegne et abonnement slik at jeg får redusert utgiftene mine en smule. Det går jo en del penger til diverse blader og tidsskrifter av historisk og/eller genealogisk art. Aftenposten Historie dekker mange temaer som jeg er interessert i. Blant annet har bladet skrevet om mange norske emigranter og deres etterkommere som har gjort seg bemerket i USA og andre steder. Bladet har også artikler om kongelige temaer fra tid til annen. Aftenposten Historie er et populærvitenskapelig magasin og dens artikler må leses i lys av dette. Men noen ganger kan artiklene være vel lettvinte. Et eksempel er Even Hagens artikkel om Fridtjof Nansen i nr. 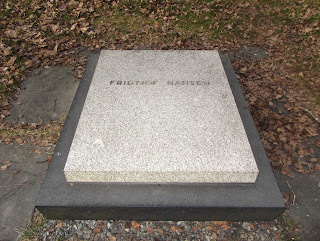 2/2016, der det om Nansens gravsted i hagen på Polhøgda under overskriften «Det tok seks år å få godkjennelse» står at «Da Fridtjof Nansen døde 13. mai 1930, var det utenkelig at noen skulle bli gravlagt i en hage på privat grunn. Da familien omsider fikk tillatelse til å gravlegge ham på eiendommen på Lagåsen ved Lysaker utenfor Oslo, var det arkitektsønnen Odd som designet det enkle gravmonumentet». Jeg har selv besøkt gravstedet ved et par anledninger, først i forbindelse med en arrangert utflukt under hovedfagsstudiet, og sist gang da jeg «snek» meg inn i hagen noen få år senere for å sikre meg et par bilder (hvor de er blitt av er en annen sak). 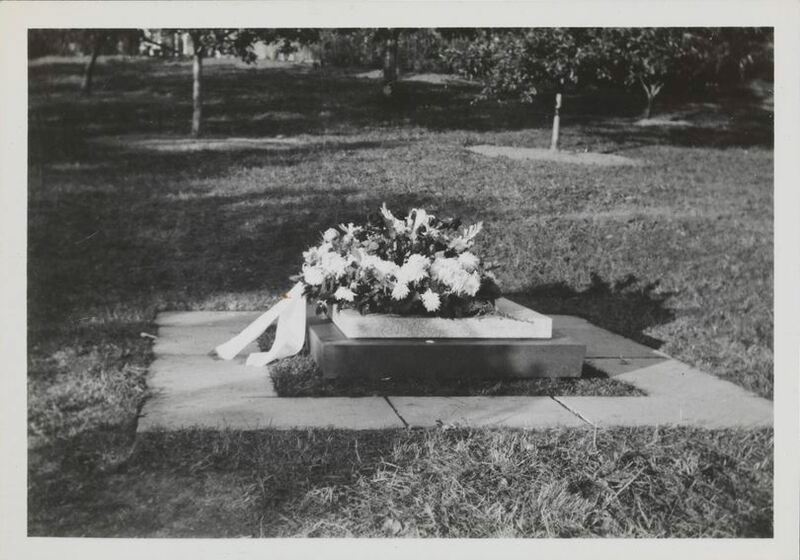 Fridtjof Nansens grav avbildet i 1937. Foto: (1937) Henriksen & Steen. At det bifaldes, at Kirkedepartementet har meddelt Bergmester Tellef Dahll Tilladelse til at indrette et privat Gravsted paa et dertil udseet Stykke Jord paa hans Eiendom Frydensborg i Skaadø Præstegjeld under Bamble Provsti i Kristiansands Stift paa de sædvanlige Betingelser, at det dertil bestemte Sted blev indhegnet og indviet, forinden noget Lig der nedsattes, og af nuværende og efterfølgende Eiere anstændigen bliver vedligeholdt, at ved Begravelser de sædvanlige kirkelige Ceremonier og det øvrige Lovbestemte iagttages, samt at der for vedkommende Kirke og dens Betjente Intet afgaar i deres lovlige Rettigheder. At der i denne Anledning bliver at udfærdige naadigt Bevilling mod det bestemte Gebyr af 160 Kroner, hvilken Bevilling bliver at thinglæse. Kilde: Norsk Lovtidende, 2den Afdeling, 1878, s. 3. Kongelig Resolution, hvorved det mod Erlæggelse af et gebyr af 160 Kr. tillades Enkemadame Karen Christiane Røer paa sin Eiendom Vollene i Barbo Præstegjeld under Arendals Provsti i Christiansands Stift at anlægge en privat Familiebegravelse under Betingelse af, at det hertil bestemte Sted indhegnes og indvies, forinden noget Lig der nedsættes, og af nuværende og efterfølgende Eiere af Eiendommen anstændigen vedligeholdes – i hvilken Anledning Bevillingen bliver at thinglæse –, at ved Begravelserne de sædvanlige kirkelige Ceremonier og det øvrige Lovbestemte iagttages, og at vedkommende Kirke og dens Betjente Intet afgaar i deres lovlige Rettigheder. Kilde: Norsk Lovtidende. 2den Afdeling. Samling af Love, Resolutioner m.M. 1880, s. 2. Kongelig Resolution, hvorved det mod Erlæggelse af et Gebyr af 160 Kr. tillades forhenværende Distriktslæge Heinrich Arnold Thaulow inden Grændserne af St. Olafs-Kildens Kuranstalt med tilliggende Eiendomme i Modums Præstegjeld under Drammens Provsti i Christiania Stift at lade indrette et privat Gravsted for sig selv med Hustru og deres Descendenter med Familie under Betingelse af, at det hertil bestemte Sted indhegnes og indvies, forinden noget Lig der nedsættes, og af nuværende og efterfølgende Eiere af Eiendommen anstændigen vedligeholdes – i hvilken Anledning Bevilgningen bliver at thinglæse –, at ved Begravelserne de sædvanlige kirkelige Ceremonier og det øvrige Lovbestemte iagttages, og at vedkommende Kirke og dens Betjente Intet afgaar i deres lovlige Rettigheder. Kilde: Norsk Lovtidende. 2den Afdeling. Samling af Love, Resolutioner m.M. 1880, s. 4. Kongelig Resolution, hvorved det tillades, at Grosserer Søren A. Parr, med Dispensation fra Forordningen af 22de Februar 1805 § 9, indretter et privat Familiegravsted paa sin Eiendom i Drøbak, under Betingelse af, at det dertil bestemte Sted indhegnes og indvies, forinden noget Lig der nedsættes, og af nuværende og efterfølgende Eiere af Eiendommen anstændigen vedligeholdes, – i hvilken Anledning Bevillingen bliver at thinglæse –, at ved Begravelserne de sædvanlige kirkelige Ceremonier og det øvrige Lovbestemte iagttages, og at der Intet afgaar i vedkommende Kirkes og dens Betjentes lovlige Rettigheder. Kilde: Norsk Lovtidende. 2den Afdeling. Samling af Love, Resolutioner m.M. 1884, s. 65. Høieste Resolution, hvorved det tillades, at Hs. Exc. Statsminister O. Richter paa sin Eiendom Rostad i Inderøens Præstegjeld under Nordre Indherreds Provsti i Trondhjems Stift lader indrette et privat Gravsted for sin afdøde Hustru og sig selv, paa Betingelse af, at det dertil bestemte Sted indhegnes og indvies, forinden noget Lig der nedsættes, og af nuværende og efterfølgende Eiere af Eiendommen anstændigen vedligeholdes, – i hvilken Anledning Bevillingen bliver at thinglæse, – at ved Begravelserne de sædvanlige kirkelige Ceremonier og det øvrige Lovbestemte iagttages, og at der Intet afgaar i vedkommende Kirkes og den Betjentes lovlige Rettigheder. Kilde: Norsk Lovtidende. 2den Afdeling. Samling af Love, Resolutioner m.M.1886, s. 126. Kongelig Resolution, hvorved det mod Erlæggelse af et Gebyr paa 160 Kroner tillades, at Handelsmand J. C. Moe paa sin Gaard Kløven i Tranø Præstegjeld under Senjen Provsti i Tromsø Stift lader indrette et privat Gravsted for sig og Familie, paa Betingelse af, at det dertil bestemte Sted indhegnes og indvies, forinden noget Lig der nedsættes, og at Gravstedet af den nuværende Eier og fremtidige Eiere af nævnte Gaard anstændigen vedligeholdes, – i hvilken Anledning Bevillingen bliver at thinglæse –, at ved Begravelsen de sædvanlige kirkelige Ceremonier og det øvrige Lovbestemte iagttages, og at der Intet afgaar i vedkommende Kirkes og dens Betjentes lovlige Rettigheder. Kilde: Norsk Lovtidende. 2den Afdeling. Samling af Love, Resolutioner m.m. 1889, s. 40. Det finnes sikkert flere eksempler kunngjort i Norsk Lovtidend hvis man bare leter grundig nok. Ovennevnte Ole Richter er tilogmed omtalt i egen artikkel på sidene 46 og 47 i samme utgave av Aftenposten Historie! Så kan kanskje noen påpeke at ikke alle gravstedene over ligger i en hage, men det blir et sært ankepunkt i så tilfelle. Alle ligger eller lå på privat grunn de de ble opprettet. Journalisten burde etter min mening ha erstattet «utenkelig» med «uvanlig», så hadde han vel sluppet unna med det. I tillegg til eksemplene over må nevnes slekten Treschows private gravlund i Fritzøehus Park i Larvik. Parken er i dag en del av et landskapsvernområde, men var ihvertfall privat grunn da gravlunden ble etablert. 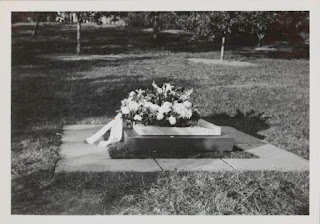 Dessuten kan nevnes graven til Halvor Blindern (1733–1804) på gården Nedre Blindern i Oslo. For ikke å glemme graven til Thor von Ditten i Skravestadskogen på Skravestad i Sandefjord. Von Dittten døde dog i 1936. Når det ble gitt tillatelse til dette private gravstedet har jeg foreløbig ikke fått brakt på det rene. Det kan ellers tenkes at den private gravplassen på Polhøgda var den første det ble gitt tillatelse til etter at kirkegårdsloven 1897 trådte i kraft (1. januar 1898) – det høres dog utrolig ut med tanke på de mange årene mellom 1898 og 1930 – men det må ev. undersøkes nærmere. Spørsmålet om private gravsteder (og deres omfang) i Norge – både i fortid, nåtid og fremtid – hadde ellers vært interessant å få belyst. Det får jeg ev. komme tibake til senere. Following the birth of Crown Princess Victoria and Prince Daniel of Sweden's son yesterday, the King announced in the special Council of State at the Royal Palace in Stockholm today that the newborn prince has received the names Oscar Carl Olof and the dukedom of Skåne. The first of the three names, Oscar, will be the boy's call name. I must say I am both surprised and delighted that the prince has received such a traditional Swedish royal name. After the surprise the Crown Princess couple made when their firstborn was named Estelle and when Princess Madeleine's children were named Leonore and Nicolas, it was almost impossible to guess on the newborn's name. The last duke of Skåne was Prince Oscar's great-great-grandfather King Gustaf VI Adolf (1882–1973). He also had Olaf (with an a) as one of his given names. The newborn's third name is spelt Olof with an o, though, but close enough! The prince's father Prince Daniel also has the name Olof. I don't feel it is necessary to list all the people in the Bernadotte dynasty or family who had or have the names Oscar or Carl. Just check out An Online Gotha! On Wednesday March 2 at 08.28 pm, Crown Princess Victoria gave birth to a son at Karolinska hospital in Stockholm. Prince Daniel also met with media at the hospital and told around 30 journalists and photographers about the great news and their happiness. At the short press conference tonight Prince Daniel informed that the name of the newborn prince, who is third in line of succession to the Swedish throne, was going to be announced tomorrow (Thursday 3 March). The boy is the Crown Princess couple's second child. 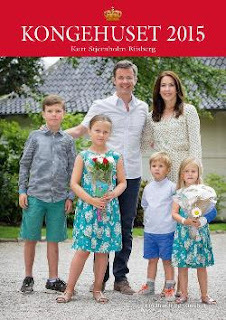 Their firstborn, Princess Estelle, was born on 23 February 2012. The prince is King Carl Gustaf and Queen Silvia's fourth grandchild and second grandson. Crown Princess Victoria's younger brother Prince Carl Philip and his wife Princess Sofia will become parents for the first time later in the spring. The day has in other words brought both sorrow and happiness in the Swedish royal family. The court announced earlier today that Prince Johann Georg of Hohenzollern, husband of Princess Birgitta and thus a brother-in-law to the king, died this morning in Munich, Germany, 83 years old.